Qualcomm has unveiled its vision for the future of virtual reality, with a reference platform for standalone headsets that don't require a smartphone. The platform, named Qualcomm Snapdragon VR820, uses the company's mobile processor to deliver the experience. 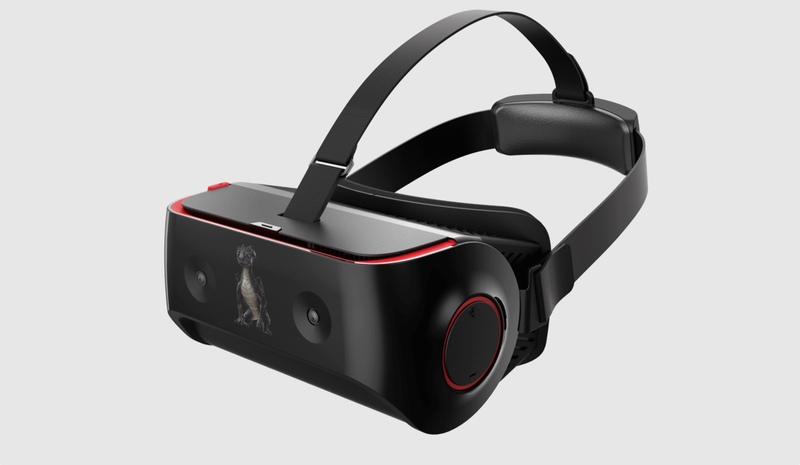 The reference headset, built in conjunction with Chinese OEM Goertek, uses a 1440 x 1440 resolution per eye, an AMOLED panel that supports up to 70Hz 4K video playback and a low latency of 18ms. “The Qualcomm 820 embedded in it makes it a standalone headset. We believe that's going to be the mass market adoption of VR. Not tethered to a high end PC with wired lighthouses or beacons, we need to get to the couch, where people can consume content where they already consume content in the living room." Merrick puts the major focus of VR on what he calls “six degrees of freedom", which refers to the ways in which a body can move in a 3D space. And he says that harnessing those movements is the key to a great VR experience, and that's being held back by tethered headset. “We need to harness six degrees of freedom. That's what you need to create a good VR experience. If you step forward in the real world you do in the virtual one. Or for the game to react when I am startled," he said. “For us, this needs to be an all-in-one experience. It needs to be self-calibrating. We're using a single monocular camera and technology developed by Qualcomm for use in drones called 'visual inertial odometery'. It's the same tech that enables a drone to monitor its environment and adapt the way it moves," he explained. “It's one of 4 cameras on the device, one for look-through, mixed reality applications and then two for eye-tracking." Reference platforms are ten-a-penny in the fledgling industry right now, and hardware companies, games studios and mobile giants scramble over each other to put their stamp on the market. Reference platforms are designed to bring order to the chaos, and offer developers a stationary target to aim at – the only problem is picking which reference to back. “Right now Daydream has been announced for handsets and right now I'd say 'stay tuned'. There's a great history between Qualcomm and Google. The first Nexus phones were developed based on Qualcomm. First smartwatches were based on Qualcomm. You get the pattern. “So I think that the challenges the VR industry faces is how fragmented it is. If you look at the amount of headsets between Google and China what's lacking is consistent licensing and delivery platform, and I think that has to be solved in parallel with exciting hardware," Merrick said. We're told that the the Snapdragon VR820 will be available in Q4 2016 with the first commercial devices based on the platform expected to be available shortly after that.